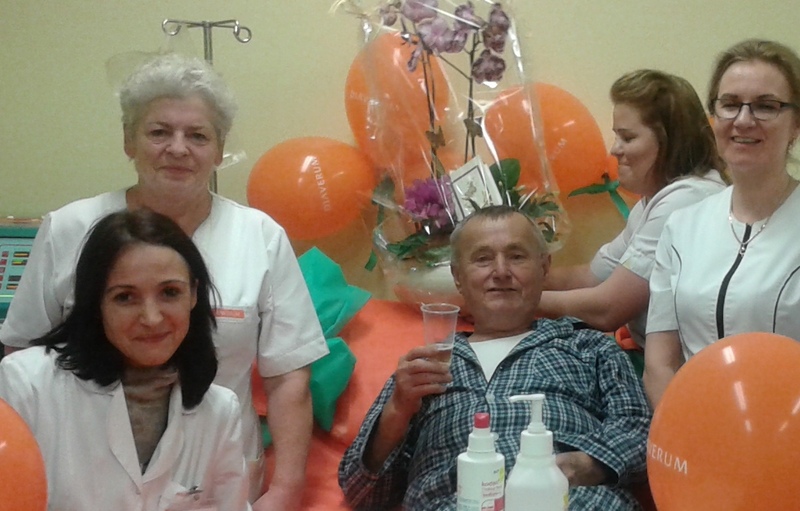 To start the new year, we would like to share the inspiring story of a Polish patient’s 30 years on dialysis. November last year marked 30 years since Wojciech Rosanowski’s life changed and the diagnosis of kidney disease meant a routine of dialysis treatment. He started haemodialysis treatment in 1985 in Gdansk. At that time the method was not as widely available in Poland as it is today and, in fact, he has stressed many times the need to build new dialysis clinics. In his case, despite his severe condition, his qualification for dialysis was not easy due to a very limited number of places in the dialysis clinic. However, he finally got in owing to the fact that he was young and had a 2-year-old son. From the very beginning Wojciech could count on his family and friends for support, which made his return to a normal life much easier. He admits that his life had changed dramatically. Everything was subordinated to dialyses, which sometimes took up to 12 hours including the journey. Haemodialysis treatment was not devoid of complications. There were times when his poor state of health influenced the relationships inside the family. After a year of treatment, Wojciech was offered a chance for a transplant, unfortunately it did not work out. Yet it transpired to be a breakthrough moment in his life — he decided to find out more about the disease and to adhere to the doctor’s recommendations. Despite the obvious limitations, Wojciech decided to live his life to the fullest and go back to work. His life improved significantly due to constant progress in dialysis therapy and the opening of new dialysis clinics, among them the one in Starogard Gdanski in November 1996. “It’s been 30 years since my life was changed by the disease and the dialysis treatment. I’m still motivated to fight with the disease, and my son, my wife and friends have been a great support. I keep setting new goals and have strong desire to live a normal, active life, without any limitations, but with help from the totally dedicated doctors and nurses,” explained Wojciech. The example of this patient and his constant motivation in fighting with the disease made us celebrate this extraordinary day.